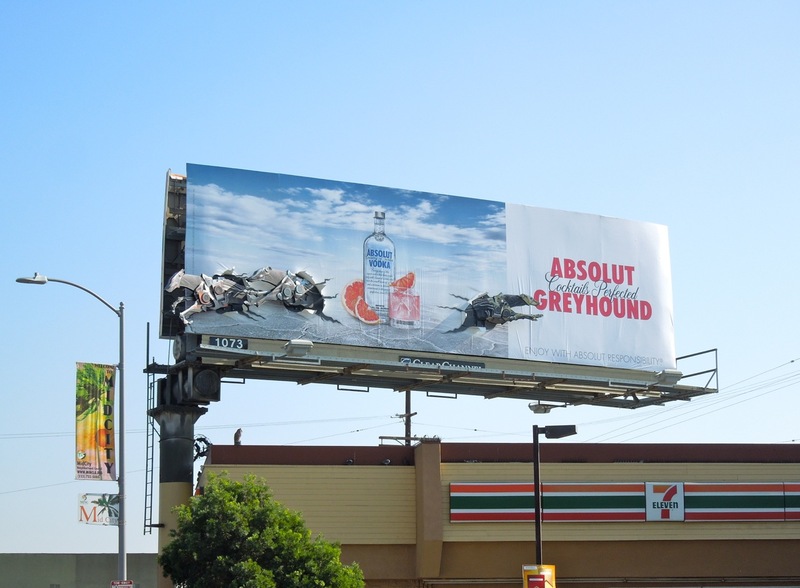 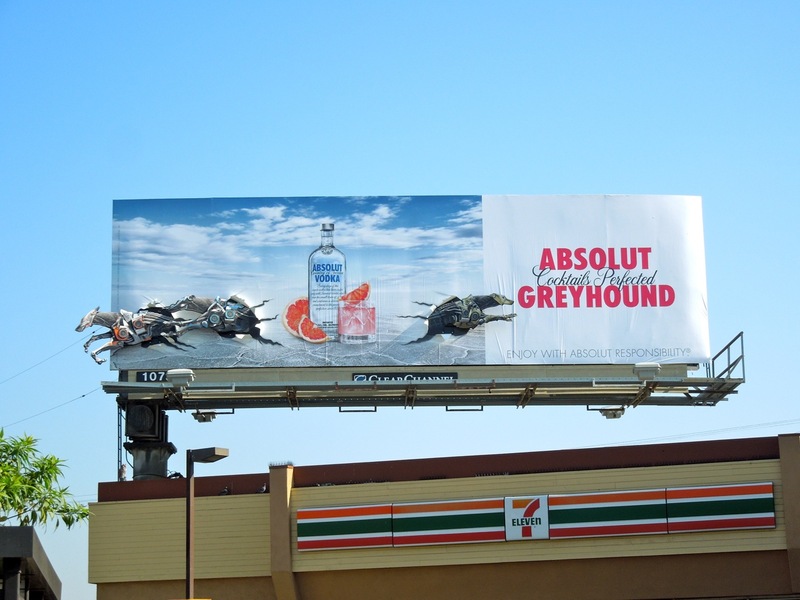 If you've seen the Absolut Greyhound commercials on television featuring the Swedish House Mafia, then you'll appreciate these billboard for the vodka brand even more. 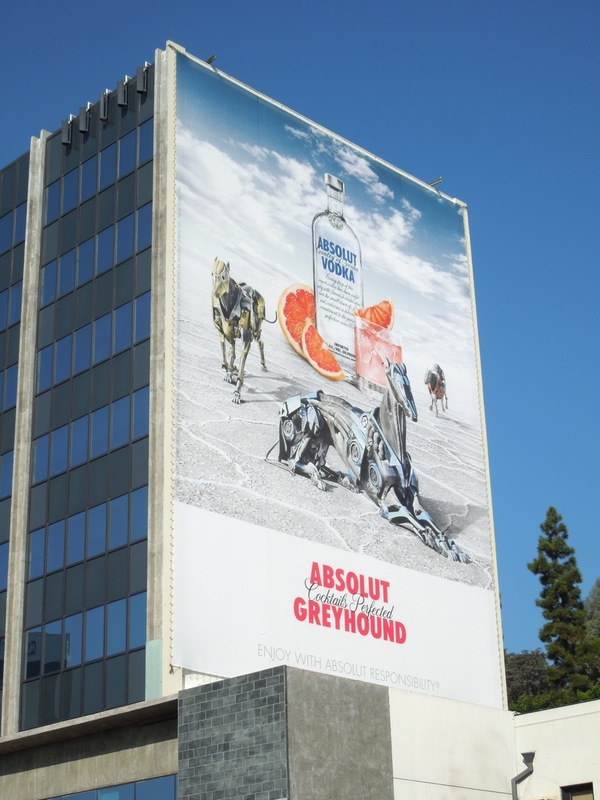 If you've not enjoyed the delights of futuristic greyhound racing yet, these robotic dogs still make for a striking visual on these extra-large billboards around the streets of L.A.
And if you're wondering what makes an Absolut Greyhound cocktail, just add one part Absolut Vodka, three parts pink grapefruit and a wedge of grapefruit to garnish (sounds like the perfect way to start the weekend). 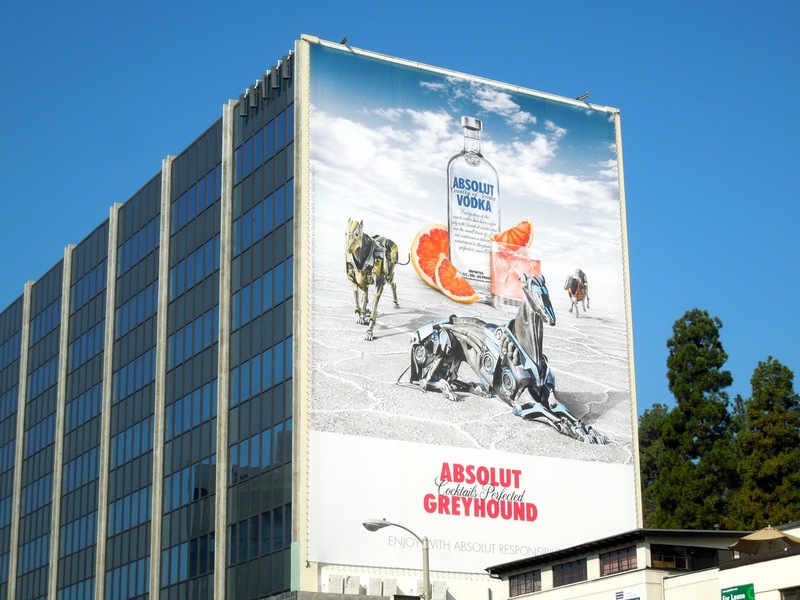 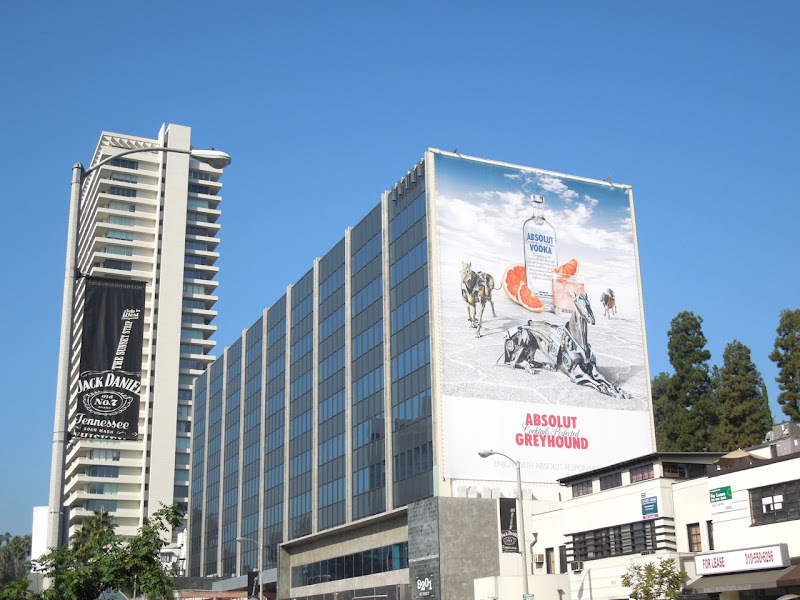 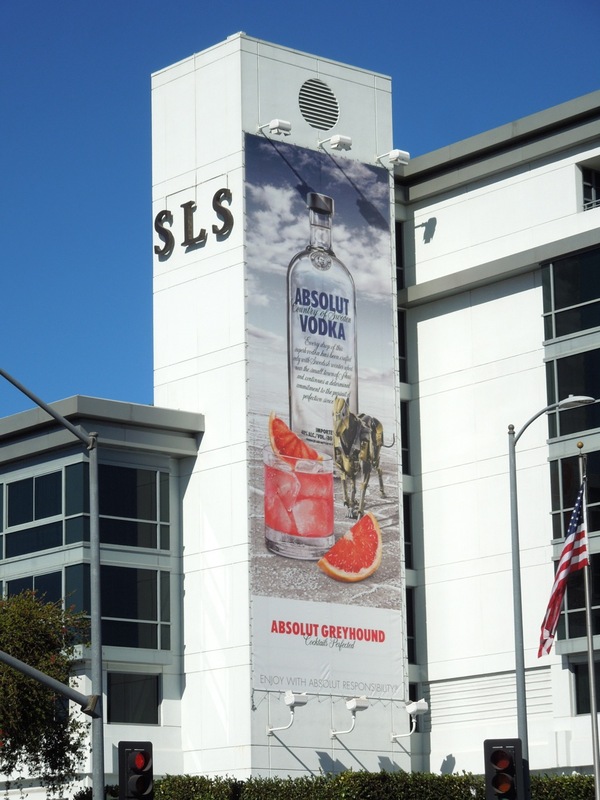 These Absolut billboards were snapped along Sunset Boulevard on November 3 and on the side of the SLS Beverly Hills Hotel on November 10, 2012. 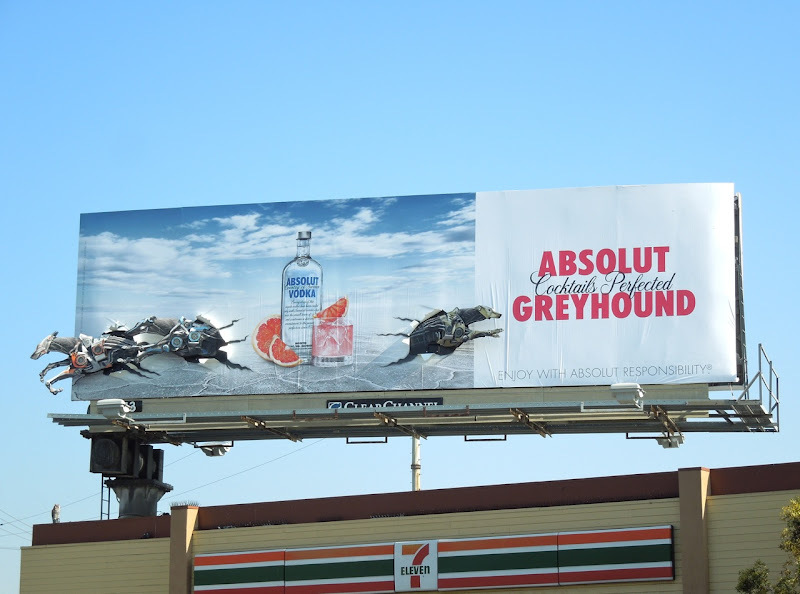 If you're a fan of the spirit, be sure to check out all these other vodka billboards here at Daily Billboard. 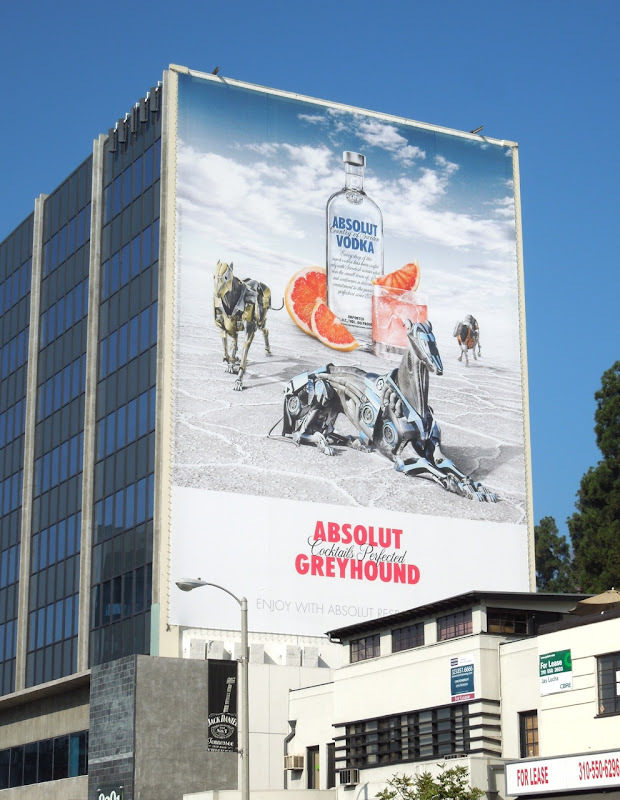 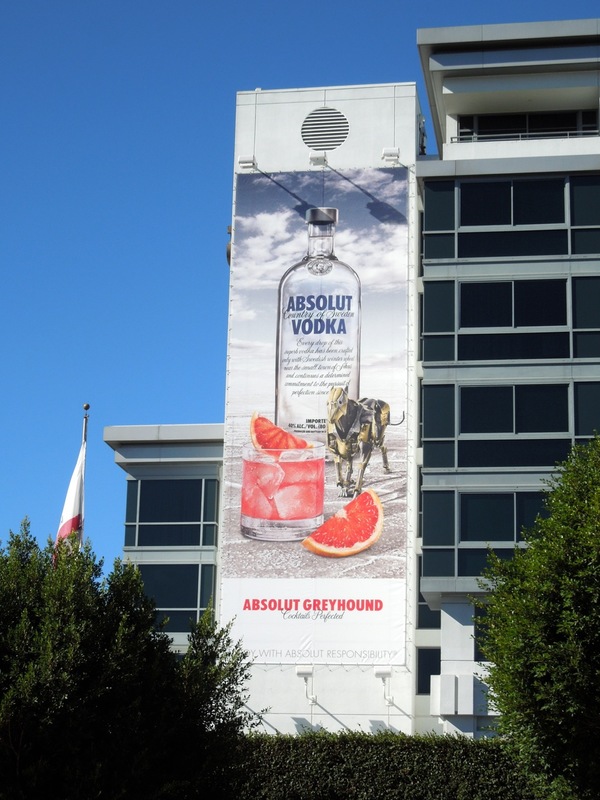 UPDATED: It looks like we may have another contender for best special installation billboard of the year in Daily Billboard's annual BAB Awards with this new three-dimensional Absolut Greyhound installation courtesy of Atomic Props & Effects. 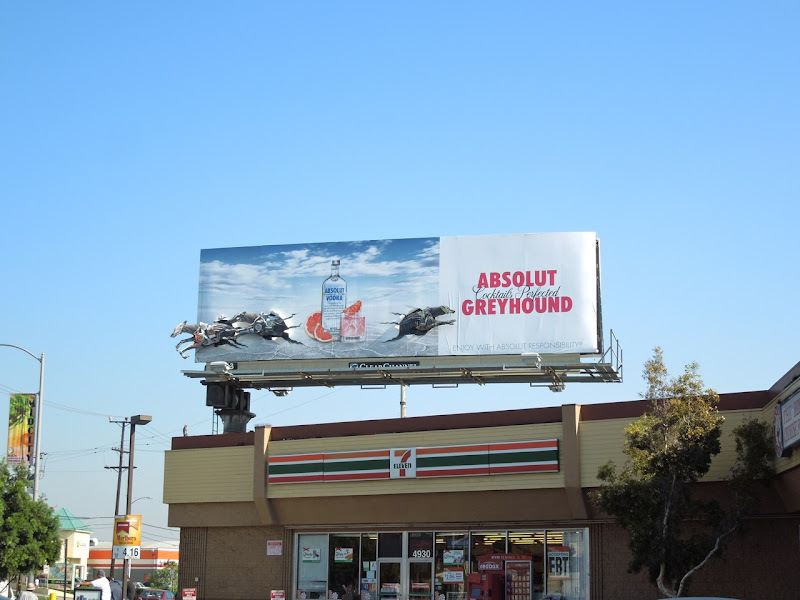 These cool robotic dogs bursting out of the vodka cocktail creative were spied at La Brea Avenue and Pico Boulevard in L.A. on November 22, 2012.